At Hidden Pearl Farm we breed Holsteiners. Please contact us for further information regarding our stallion Canterbury or about any of the horses listed. As breeder and trainer of talented young horses, we are often able to produce and bring them on for much less than you may find elsewhere, and we are certainly able to produce comparable quality for much less than you will fly to Europe to find and import. Please allow this page to fully load before clicking the links below. From parents who both jumped internationally (daddy jumped the Olympics and mama won a Nations Cup for Germany), from Holstein stamm 776. He was the leading 4 year old jumping stallion on test at the National Stallion Testing at Silver Creek in OK in 2012, also scoring 10s for rideability from the test riders. He is approved for breeding with the German Oldenburg Verband, Oldenburg NA and Rheinland Pfalz-saar. Early children are truly outstanding, showing beautiful faces and heads, and powerful, uphill canters. Click HERE to see the Facebook album of some of his children or click HERE for Canterbury's Facebook page. Contender x Bold Indian x Lord. Stam 4761. 1996 Bay Holsteiner mare. 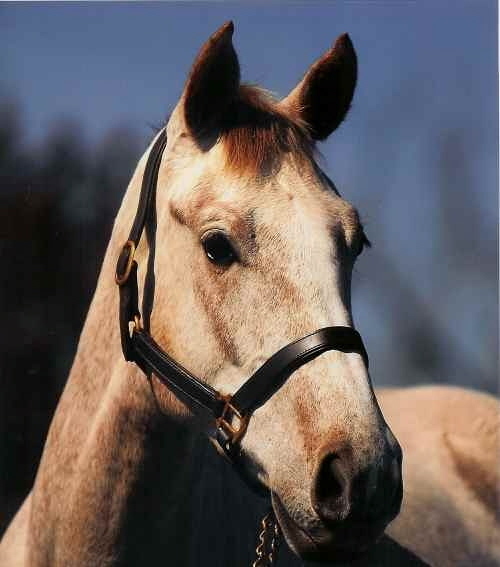 Cou Cou has been a productive cornerstone broodmare at Hidden Pearl Farm, with several notable children, such as Newcastle, competing successfully on their way to the Grand Prix divisions. We have retained sons of Cou Cou as show horses and very much look forward to using daughters, such as her 2013 filly by Cassini II - Fleur de Perle HPF - in our future breeding. She was a 1.40m horse at age 6, but even in between foals, she loves having a saddle on her back and a jump in front of her! Powerhouse of a mare from stamm 776. Marina is Alasca x Caletto II x Ronald. 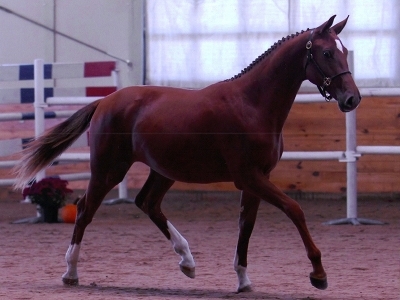 55 bonit States Premium Mare by Corofino I. With 9s on gaits this beautiful progenitor has already graced us with an awesome Canterbury son. Top Holsteiner genetics from stamm 730b. 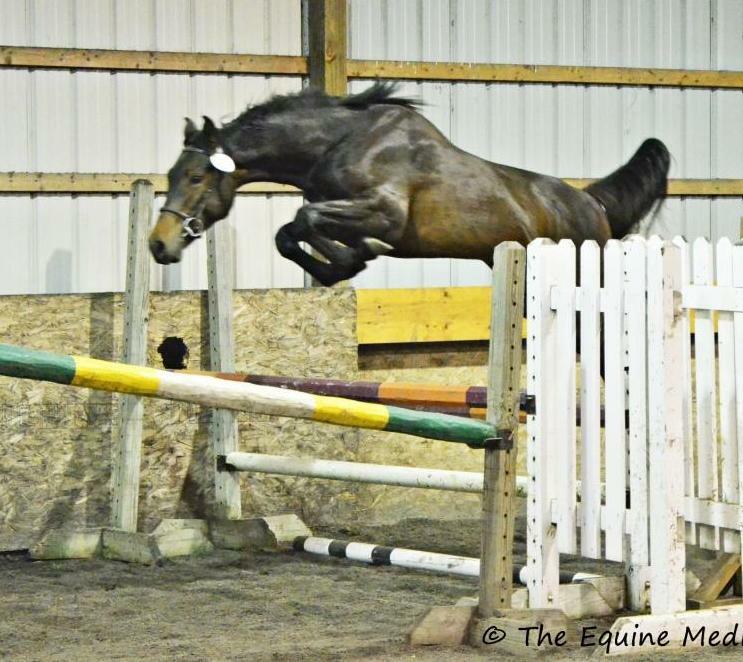 Jumping genetics par excellence... Canturo x Quidam de Revel x Darco. This beautiful Belgian mare showed through the 6 year old YJCs and then joined Hidden Pearl Farm as a candidate to produce jumping children for the upper levels. Autobahn x Indoctro x Calido x Lord Calando Stamm 2578. Great grandmother is full sister to the approved stallion Lacantus. 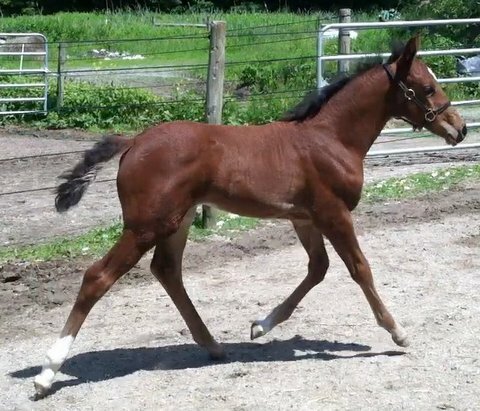 This striking filly is a daughter of Contendro I from a Carvallo x Landego (Stam 1228) mare. Typey and correct, she is also extremely human-friendly and very much enjoys being handled. 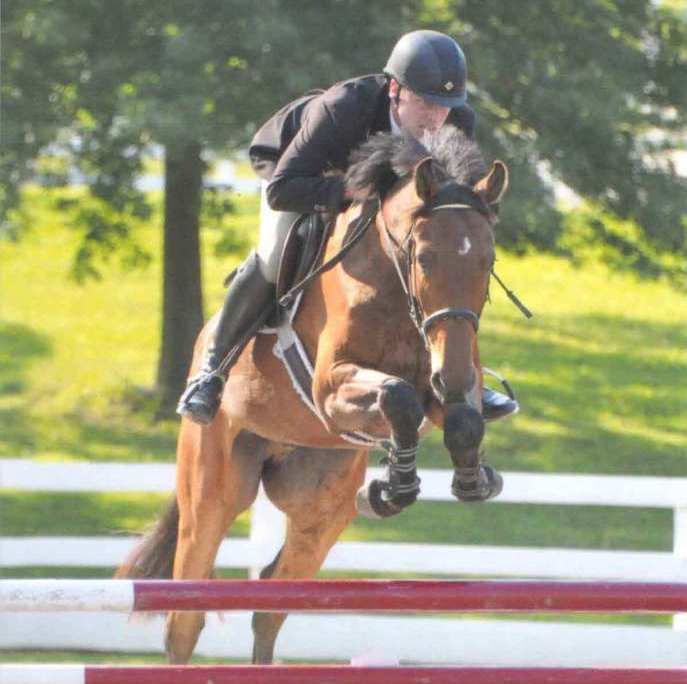 2000 Dutch Warmblood with an incredible record in the Adult jumpers, having won numerous NAL and M&S Classic titles and Circuit Champion awards at WEF. Tanzanite passed her careful, clever manner on to Vantina HPF. Tanzanite's granddaughter Bahntina HPF is retained in our mare herd, as we attempt to perpetuate the strikingly talented attributes of this motherline. Carvallo x Landego x Aldato. Stam 1228. 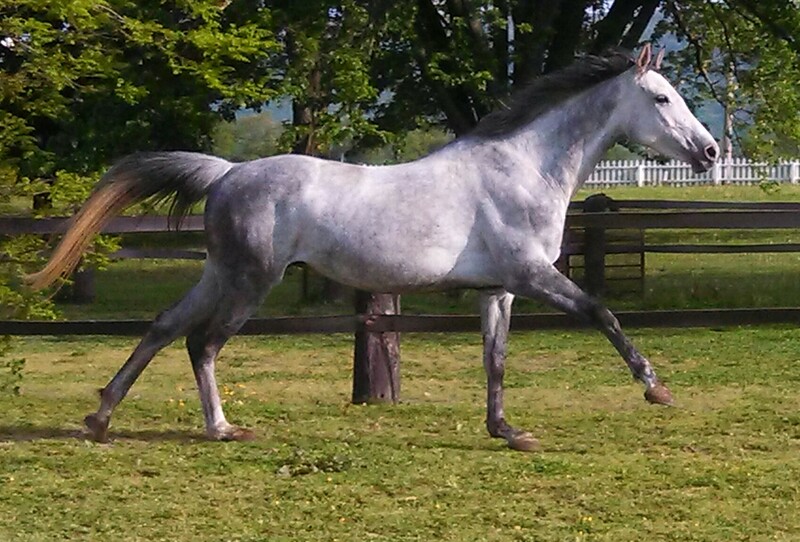 2000 Grey Holsteiner Mare. Reality is framey, correct, athletic and beautiful. She also had her first foal in 2011, a filly by Contendro I, and is back in work, and jumping under saddle. Campesino x Caracas x Merano. Stam 730b. 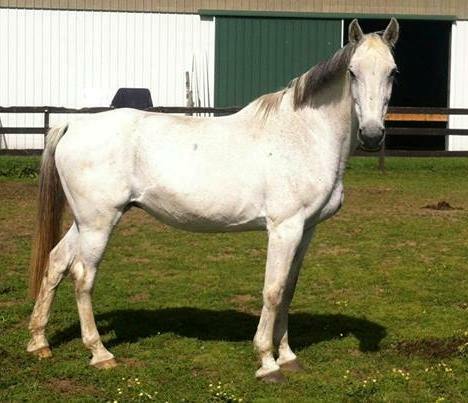 2007 Grey Holsteiner Mare (reg RPSI). 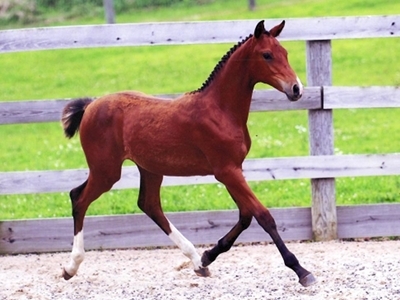 Camalii began life successfully as one of the top scoring foals of over 600 in the RPSI studbook for her movement and conformation. Her sire has made World Cup jumping horses, and Camalii has had her first foal in 2011; a Premium colt by Concerto Grosso. In 2012 Canterbury helped her to outdo herself, producing a daughter of whom we have high expectations. Super productive 2003 Oldenburg mare, showed successfully in YJC 5 year old classes and subsequently bringing her young rider on from ponies to 1.20m, while winning, being champion or reserve more times than not. All while having three beautiful foals along the way. Wonderful mare. One of the last daughters of her father, Argentinus, before his passing, Arrow was acquired from the Klatte stables in Germany as a weanling. 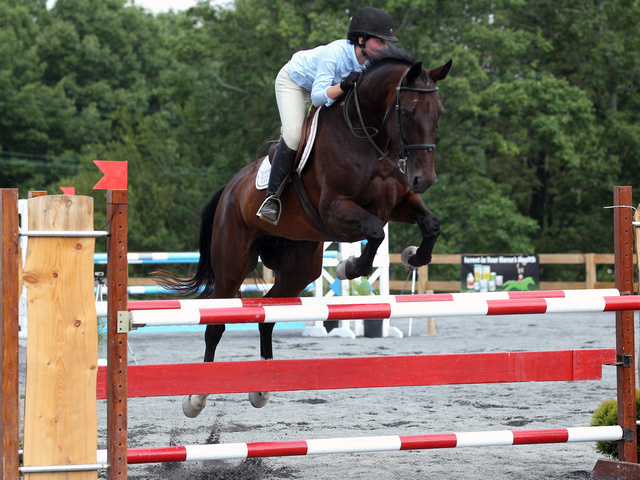 She is a large, framey mare with a quick hind leg and powerful, scopey jump. While her current role is in sport, this was not before she gave us a daughter by the Quidam de Revel son Quinar to breed forward with. Indoctro x Calido x Lord Calando x Cantus Stam 2578. Val's grandmother is a full sister to the approved stallion Lacantus. We are retaining Val's Autobahn daughter, Barbara HPF for breeding. Now started in her showing career, Valencia is a top young jumper prospect who has an impressive freejump and strong gaits. Vantina shows the jumping scope of her sire Contigo M (by Cassini I) in a compact power package which speaks of great things to come. 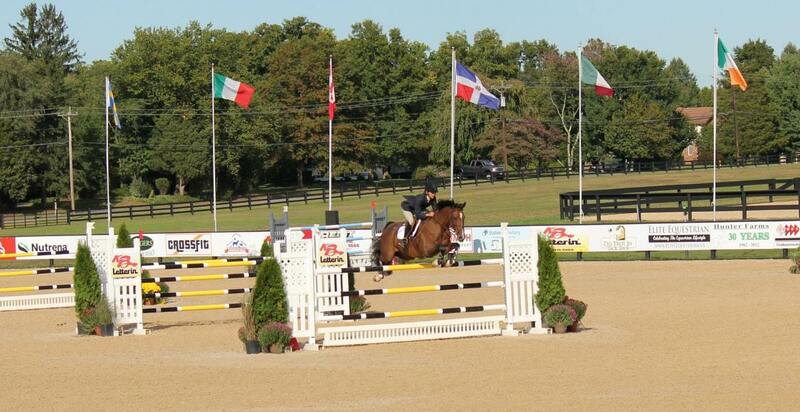 She went into sport after the production of her one filly with Grand Prix rider Linda Sheridan, and she has done herself proud through the Young Jumper Divisions and Finals at venues all over the East coast. She shows the determined and quick winning spirit of her Hamar mother and the power and ease of jumping of her sire. Due to Vantina's outstanding qualities we expect to continue developing this line with her daughter, Bahntina, by Autobahn. Casiro x Canturo x Acord II. Stam 776. 2007 Bay Holsteiner mare. Pictured here at the inspection of her first (Premium) foal, Esther was from the world-leading jumping stam, Holstein 776, from a grandmother who jumped and won a Nations Cup for Germany. Baloubet du Rouet x Contendro I x Carvallo - 2015 pregnancy. A unique opportunity to acquire a foal by the leading jumping sire in the world. Baloubet won three World Cups in succession (1998-2000) and was also the individual Olympic Champion at the 2004 Athens Olympics. He is now the most successful sire in jumping sport and his children are very difficult to acquire. 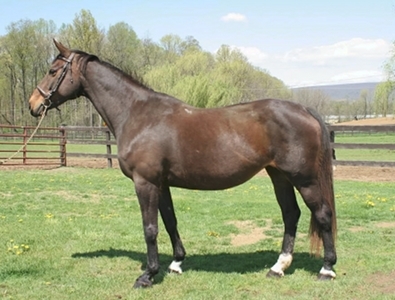 This pregnancy is from a (Contendro I x Carvallo) Holsteiner mare from stamm 1228. Click Here to see the mother of this pregnancy freejumping, Here for Baloubet's own site, Here for Contendro I, and Here for the World Sire Rankings! Beautiful 2013 filly bred from two foundation parents at our farm. Fanny's sire, Canterbury, was the best jumping 4yo stallion on the 2012 national stallion test in OK, while her dam, Noble Contessa has been among the most productive sport and breeding mares we've had. Fanny herself is a beautiful type, structurally correct with good movement, a powerful canter and a beautiful face. Young Coffee is a beautiful second-crop son from Canterbury out of the 55 bonit, States Premium mare Cara Mia, by Corofino. Always attentive with a beautiful disposition towards people, as well as top movement and conformation, this young fellow has every possible avenue open for his future. From stamm 730b. We waited for a long time to get a filly from our foundation broodmare, Coucou. As a daughter of Coucou by the late Cassini II, Fleur is earmarked for our breeding program. Cassini x Contender has proven handy at the highest levels of sport and breeding. Stamm 4761. Outstanding Canterbury son from the first foal crop. Champion foal at his inspection. Strong type and powerful mover. One to watch. Stamm 1228. Outstanding Canterbury filly from a Quinar x Argentinus mother. Big and beautiful with legs that go on forever! Tall, beautiful daughter of Canterbury from a Campesino x Caracas 730b mare. These are the kinds we are glad to be producing. Video at approximately one year old. Click here to see pictures and video of Eclectic freejumping in a Facebook album.. Athletic filly from Canterbury's first foal crop who both loved and excelled at her first efforts freejumping! Another one to watch... she has what it takes! Casall x Casiro x Canturo. Stam 776. 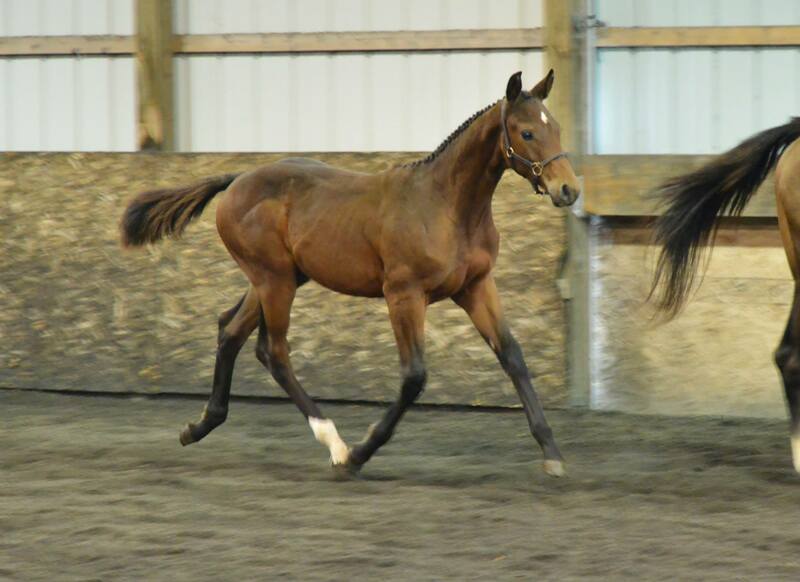 2011 Bay Holsteiner Filly. Beautiful Premium filly bred from the strongest of sport lineages. Will succeed either under saddle or in perpetuating her genetic concentration of proven Holsteiner ability. Or both! 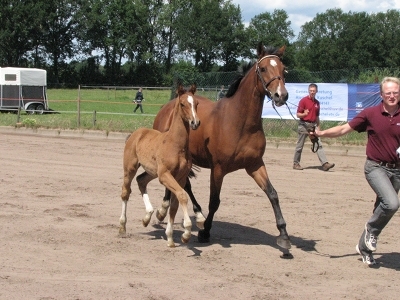 This is her foal inspection video where she was awarded Premium. Estelle has sold to Brazil. Outstanding 2011 Concerto Grosso x Campesino son who was a premium colt at his AHHA inspection. He is beginning work now as a 3 year old, showing great promise over fences and also the sparks of quality needed to be considered as a stallion candidate. Will mature to around 16.2h. Price Guide - Low 20s. Click here to see pictures and video of Concerto freejumping in a Facebook album..
Ariadus x Indoctro x Calido. Stam 2578. 2011 Bay Holsteiner Colt. Stunning, super moving stud colt candidate, this fellow was up from being born in record time and straight to the business of impressing all who cared to watch him. Movement, balance, speed and control. And that was just what he showed his first day! A pedigree replete with greatness, 'Harry' doesn't care.... he's more for getting on with it! Autobahn x Contender x Bold Indian x Lord Stam 4761. 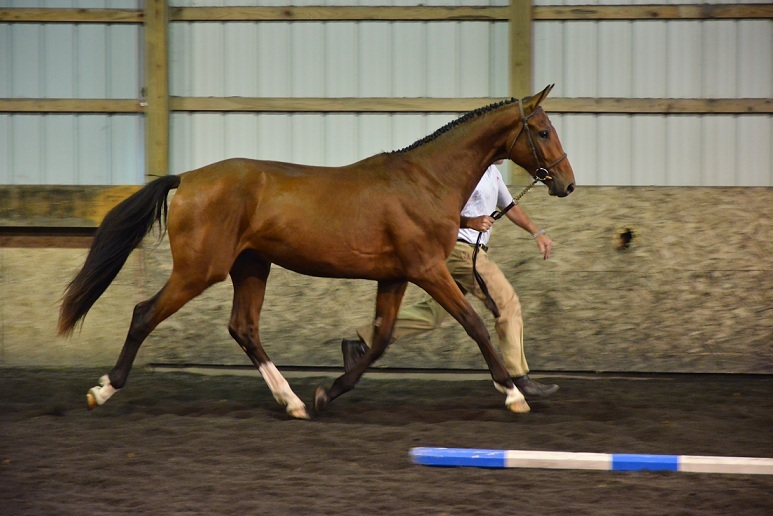 Autocrat is a beautiful 2009 gelding. Medium sized, he shows beautiful refinement and type, is working under saddle and has the beautiful form over fences which his Contender mother Cou Cou has produced for us in her previous foals. Acclaim x Noble Champion x Cashman. Bay Holsteiner Gelding. Axciom is a larger son of Acclaim by Acorado. 'Axe' is started under saddle and shows a great willingness to work and good ability in the freejump chute. Quinar x Argentinus x Granulit. 2008 Bay AHHA registered mare. Queenie is a direct daughter of our Argentinus show mare, Arrow, who has been a winner in the 6yo YJC divisions in 2011. We feel Queenie, by the Quidam de Revel son, Quinar, is showing the catty, careful quickness of Quidam and the movement and power of Argentinus. Huge congratulations to Rena Gospodarek and best wishes for all success with Queenie! 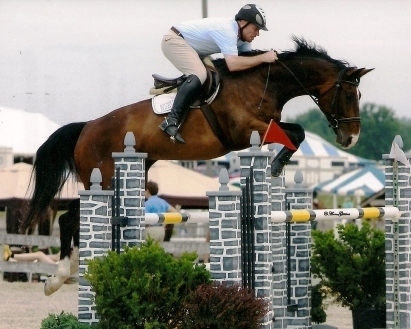 Zarrah is an Oldenburg mare that shows promise as a jumper/equitation/event prospect. Her dam Noble Contessa competed in Young Jumper Championship classes and is currently showing the Child/Adult Jumpers with Sarah Edmunds. Zarrah has the same quiet, sane mind as her dam, and possesses the athleticism of her sire Cicero's Icewater, who evented successfully under David O'Connor. 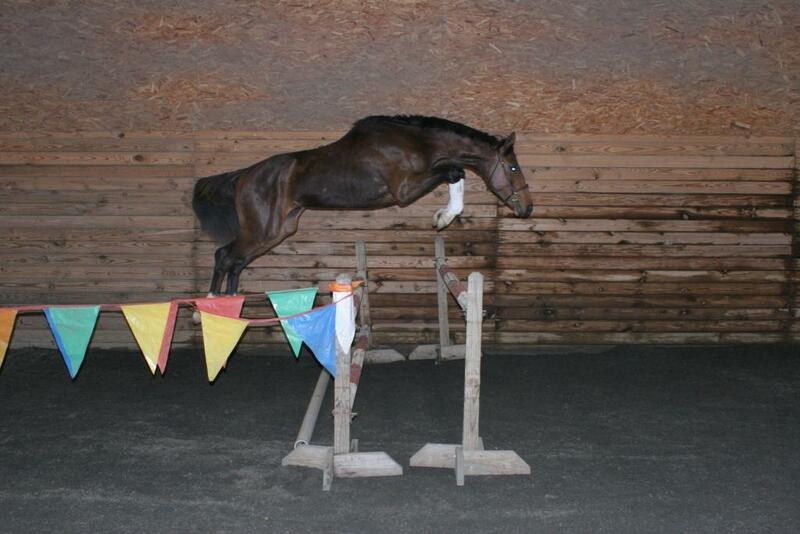 She shows sufficient scope in her free jumping to be capable of the 1.10m divisions. Quite Capitol x Gonzo x Princely Heir. 2007 Roan Holsteiner Gelding. 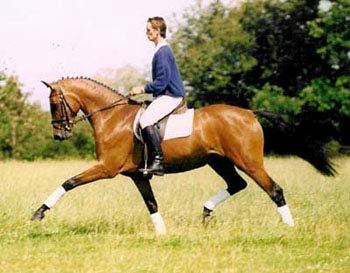 Quigley's sire is by Quidam de Revel and out of the full sister to Capitol I and his dam by the Hanoverian sire Gonzo I. Jazz x Contender x Bold Indian. Stam 4761. 2007 Bay Mare. 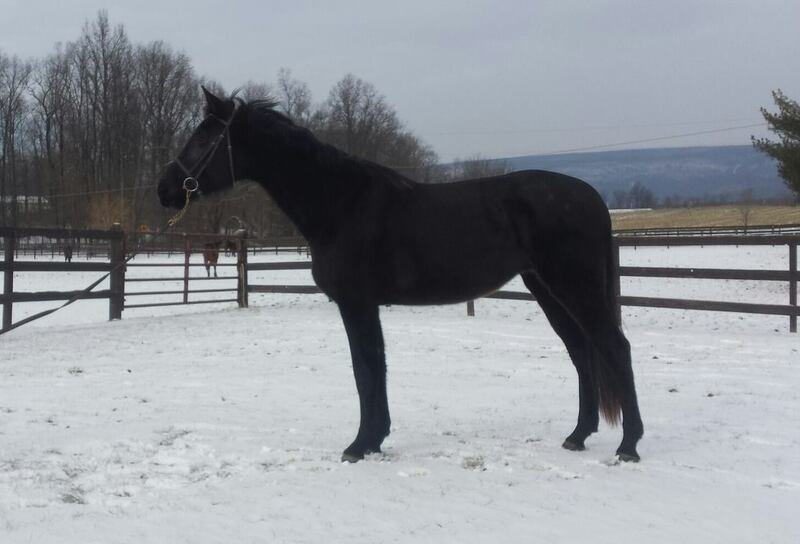 Zazz is a super interesting mare bred for Dressage from Cou Cou, our Contender daughter. She has started training with owner Kate Tanner on Vancouver Island and we greatly enjoy the updates on her progress. Orame x Contender x Bold Indian. Stam 4761. An extremely capable jumper from our productive Contender mare, sired by Orame who has jumped internationally for Holland, the USA and Italy. Currently moving up through the Young Jumper ranks. Contigo M x Contender x Bold Indian. Stam 4761. 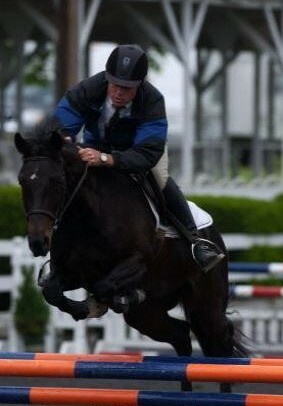 2005 Bay Holsteiner Gelding. From our Uber-productive Contender mare and sired by a significantly talented Cassini I son, Consent To Fly has stepped up to deliver what his pedigree suggests that he should. A regular in the Young Jumper ribbons with owner Linda Sheridan the past two years, Consent has more to come! Navarone x Dymanit x Woermann. 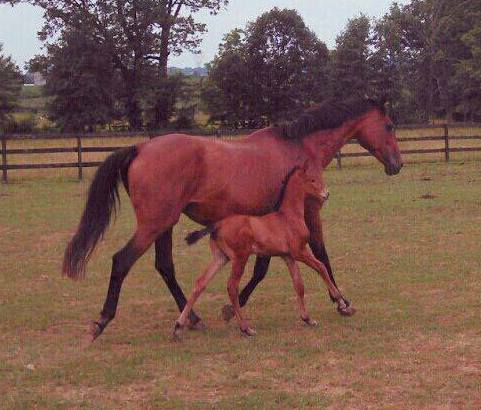 A beautiful 2005 filly from Dolina, a successful imported Hanoverian mother by Dynamit by Dynamo. 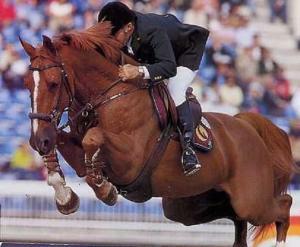 Novena's sire is Navarone, son of the 1996 Olympic Showjumping Individual Gold medal, Jus de Pom. Corland x Gonzo I x Princely Heir. A cross between the best Holstein has to offer with the Hanoverian G-Line. While Cordy's abilities do well to reflect this heritage, our outstanding recollection of him is always the super, willing temperament and willingness to do all and anything asked of him with all that he had. Currently showing under new owner Manuela Kowitt out of North Carolina. Noble Champion x Gonzo I x Princely Heir. 'Gonzo' was the first foal from our breeding program. 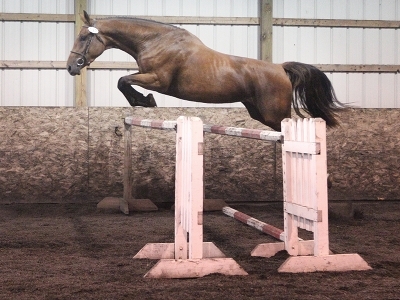 Super athleticism and mild temperament, he showed great scope and potential as a young horse.